NFL 2013 to 2014! Sam/Me playing flag football 2012! Reasons I love foot ball! I think it is so cool watching the players out there! This picture is a picture of Sam and his friend Ryan! They are playing flag football together! 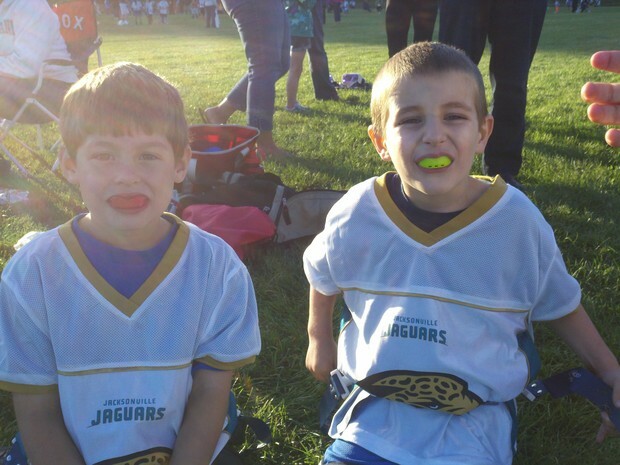 They are on a team called Jacksonville Jaguars!